Gloucestershire has its fair share of garden centres including the very large Blooms Garden Centre in Gloucester. They also have lots of medium sized garden centres and even more nurseries specialising in different types of plants. We review these garden centres and nurseries including the plants, the layout of the garden centre and the cafe if they have one. All our reviews are impartial, we are not associated with any garden centre. Lots of careful thought has gone into the design of the plants area, far more than most garden centres. Some might even say it has an over-designed feel to it possibly with looks triumphing ..... Click here for the full review. Badgeworth Nurseries specialise in growing their own bedding plants and hanging baskets. These are all grown on site to high standards and the prices are definitely on the low side. I spoke to the owners of ..... Click here for the full review. Dating back to 1975, Blooms of Gloucester was originally owned by the Jardinerie chain. It was then taken over by Blooms which in turn was taken over by Wyevale's, now know as the Garden ..... Click here for the full review. Wyevales (now known as Wyevale Garden Centres) took over the gardening side of the business in 1976 and expanded it into a a medium sized operation called the Golden Vale Garden Centre. The aquatics ..... Click here for the full review. They specialise in a restricted range of bedding plants, typically sold in packs of six, twelve or twenty four. They sell to the trade off the shelf or to order and sell a small amount of hanging baskets and potted ..... Click here for the full review. Coleford Garden Centre are not a retail garden centre, they supply to the gardening trade and are not set up to cope with ..... Click here for the full review. Country Garden Centre is situated in a beautiful part of Gloucestershire with lots of unspoilt countryside nearby. They are a medium sized garden centre serving the local community very well, providing all the ..... Click here for the full review. The plants area has wide paths which are fully paved, kept clean and free of clutter. About a fifth of the area has rain protection for inclement weather. The plants themselves are in top condition and hardy plants ..... Click here for the full review. As the name suggests, Evergreen Nurseries specialise in plants but that's not the whole story. They also stock a large number of shrubs of all types as well as trees, roses, ferns and bamboos. They are ..... Click here for the full review. The Fairview Gardener started out life as Fairview Nurseries dedicated to growing bedding plants. 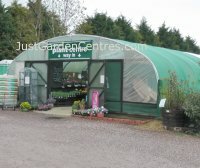 In 2009 the business was bought by Glenn and Paul with the purpose of turning it into a garden centre but at ..... Click here for the full review. Although not in the top 100 largest UK garden centres, Highfield is reasonably large and they certainly stock a good range of healthy plants. As you might expect given their history they stock an excellent ..... Click here for the full review. Homebase Garden centres are well represented in Gloucestershire. We have details of x of them and links to them are listed below. If you know of any more then let us know (contact us) and we will add them to this section. 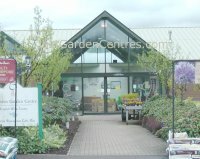 Lechlade Garden Centre is one of three garden centres belonging to Park Garden Centres. The other two branches are based in Cheddar and Almondsbury. All three are owned and run by the Hodges family and ..... Click here for the full review. Nailsworth is a small village a couple of miles from Stroud and it's set in a valley. We find it unusual that Wyevale Garden Centres have a medium-sized garden centre there because, beautiful views aside ..... Click here for the full review. The plants area is split into two, an outside area and a large covered polytunnel. They sell a good range of ornamental and fruit trees, shrubs, perennials, grasses, roses and alpines so more than likely ..... Click here for the full review. The plants area is medium sized with a small area under cover and a short covered path. It's easy to get round this garden centre with wide and solid surface paths. Finding specific plants is a bit difficult ..... Click here for the full review. Roses Country Fayre garden centre started life well over 30 years ago selling a few plants at the end of the drive of the owners house. The plants sold fast and over the years the business has developed ..... Click here for the full review. This is a medium sized garden centre which started life in 1988. Several years ago it was extensively rebuilt to provide more sales area and new departments. The plants area is partly covered and there is a small ..... Click here for the full review. 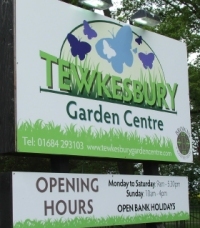 Tewkesbury Garden Centre is a medium sized garden centre which is family owned. 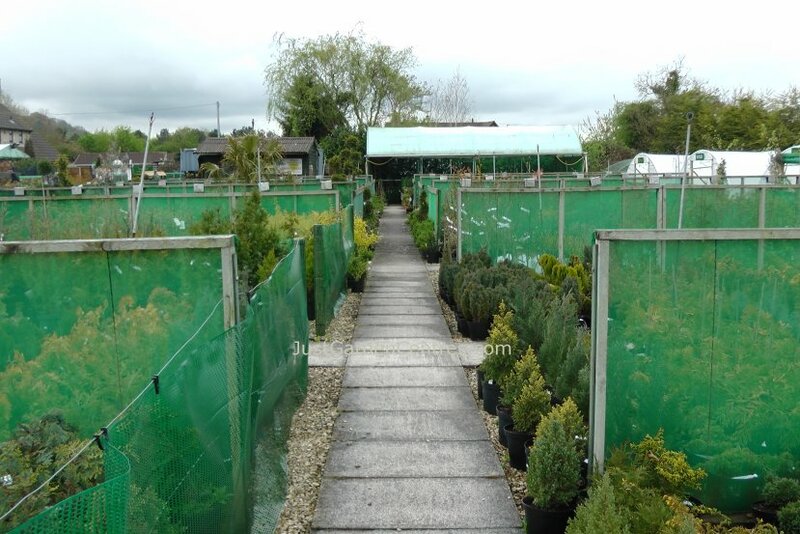 They stock a good range of shrubs, trees ..... Click here for the full review. The current owners began running Toddington Garden Centre in 2007 however they have been in the horticultural trade for over 20 ..... Click here for the full review. Trioscape Garden Centre might not look like it now but it began life in 1994 as a totally run down business, purchased by Ronan Lynch, Richard Mitchell and Douglas Wilson. Initially set up solely ..... Click here for the full review.